What Happens After You Get Approved For Xchange Leasing? Harry here. Over the past year, tens of thousands of people have visited this site to get more information on the Uber Xchange Leasing Program, and today we wanted to shed some light on what happens after you get approved for a lease. Douglas Chin is an Uber Xchange Leasing specialist at Hertz Car Sales in Norwalk, CA, and today he’s going to share a guest post to help walk you through the process. Doug and I do not have a financial relationship but he is a frequent commenter on the blog and I’ve appreciated all the questions he’s answered for RSG readers about the Xchange Leasing process over the past few months! Over the past two months, I’ve received numerous calls from various Uber partners wanting to know what to do after they get their approval from Xchange Leasing. Most simply just get an email approval that states they’re approved and a list of dealerships. Some scour their email to gather more information, but I’ve been told that there isn’t much than that. I’m hoping this can help summarize the steps that need to be taken after the approval. Xchange Leasing has two tiers to this program. The first tier is known as Xchange Lease. If you are approved on this tier, then you can choose from any eligible and available vehicles on the dealer’s lot. Some new dealerships have numerous “new” cars available for this program, and maybe only a handful of “preowned” cars available. I use this term lightly because I’ve encountered many Uber partners who have informed me they’ve gone to various dealerships looking for a preowned car only to be turned away and directed to a new car. But if they stand their ground, then magically a preowned car that they wanted may suddenly be available to them. The lesson here is if you are looking solely for a preowned car, then contact the dealership via telephone or email to see if they have the car that you want. Ask them about the year, price, and most importantly, whether that particular car qualifies as part of the Xchange Lease program, then get down there before that car is gone. The second tier is known as Xchange Lease Access. This is actually a reassignment program. If an Uber partner is approved for this tier, then they can choose from any vehicles that have been returned by the Uber partner in the first tier. For instance, let’s assume Sandy was approved for a vehicle through Xchange Leasing, and she chose a 2014 Toyota Corolla. She drives Uber for 6 months and then decides that this isn’t what she expected, so she arranges to turn the vehicle back to the dealership that she got it from. After the dealership gets this car back, they do their necessary inspections and paperwork, and now they can make this car available for someone who was approved for Xchange Lease Access. As you can see, the selection is much more limited in nature. ADVICE: Please look over your approval carefully to see which of these two tiers you qualified for. If you do not know which tier you qualified for, then ask the Xchange Leasing Specialist to input your name, phone number, and email address into their system and they will be able to confirm which tier you were approved for. If you start contacting other dealerships, inform the specialist at the dealership which tier you qualified for so they know which cars to show you. NOTE: If you would like to test the waters of driving before committing to an Xchange Lease, HyreCar is a great option where you can rent a car to drive for Uber without any commitments. 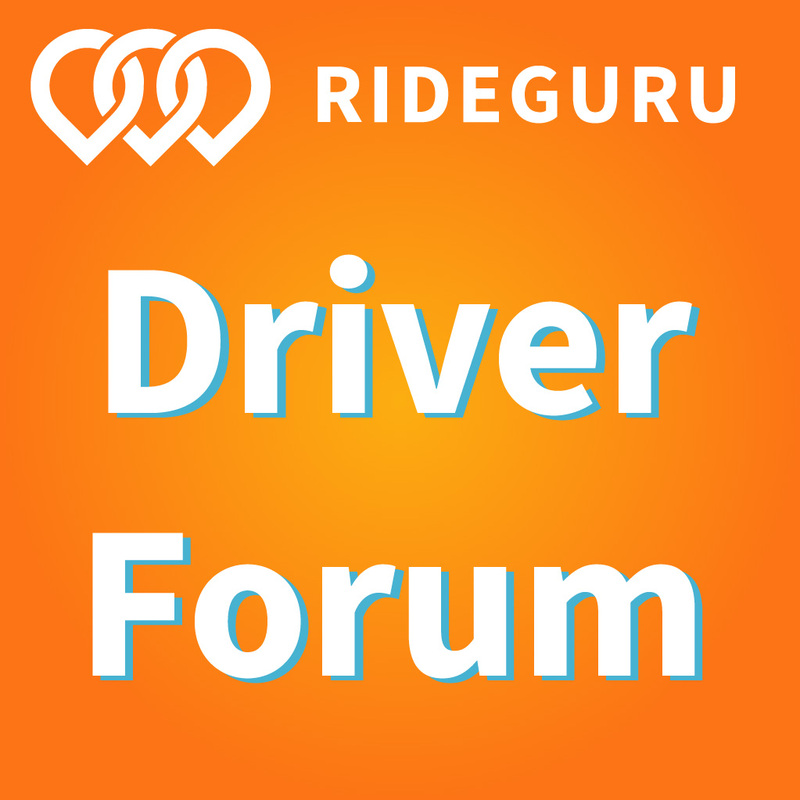 HyreCar also offers an alternative for rideshare drivers who were denied for Xchange. 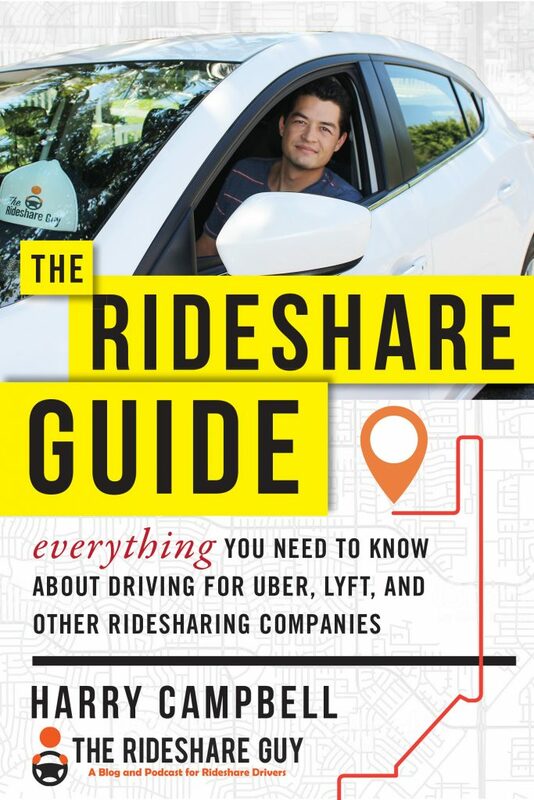 They act as a sort of AirBnB for rideshare drivers. Allowing them to rent cars from other drivers. I still get calls from Uber partners who inquire about vehicles that are not part of this Xchange Lease program. Please review the revised list of eligible vehicles, which was emailed to our dealership sometime in early April 2016. The requirements are as follows: 2009 model or newer, 75,000 miles or less, no salvage, rebuilt, or flood vehicle titles, four full-sized doors, minimum of 5 seatbelts, and automatic transmission. After you’ve made contact with the various dealerships, then schedule an appointment to test out the car. Please note that if there’s a car available today that it may be gone tomorrow, so have a backup plan. Go to the dealership with an open mind and keep your options open. If your top priority is a low payment, then ask the Xchange Leasing specialist which cars have the lowest payments. So let’s say you had an option to choose between a 2015 Nissan Versa and the payment was $103/wk, or a 2014 Toyota Corolla and the payment was $124/wk. Try not to lose sight of your goal if it’s to get a low payment, because the difference of $21/week can add up to $84/month, which could be nearly two tanks of gas. Let’s assume that the test drive went well and you basically found the perfect car for Uber. The next step is to go inside and ask the Xchange Leasing specialist to figure out your weekly lease payment. The Xchange Leasing specialist will input some basic information into their computer and email it to Xchange Leasing for a quote. This may take upwards of 15-30 minutes before a reply comes back with the weekly payment. Also note that Xchange Leasing hours are 9am-5pm PST, daily, so please plan on coming an hour or more before they close for the evening. If you’re satisfied with the weekly payment and you wish to proceed, then you will be required to leave a $250 security deposit, which can be in the form of a personal check, money order, or cashier’s check. It’s best to ask what forms of payment the dealership requires. For instance, some dealerships take cash, others do not. The dealership that I work for does not take cash, only checks or money orders. Next, Xchange Leasing will need to verify that you have a special type of insurance coverage arranged called “Rideshare Insurance“. Xchange Leasing will need to see an insurance declaration page and/or insurance binder showing rideshare insurance for phase 1. Currently, they are only allowing 3 insurance carriers for our dealership in California to recommend: Mercury, Farmers, and State Farm. Note: As of this date, I am not aware of other insurance carriers that are allowed with Xchange Leasing… again, there could be others that are acceptable, just that our dealership has only worked with the above. 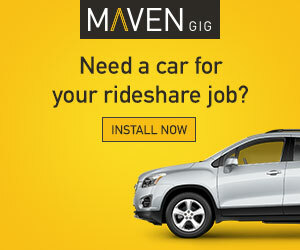 If you haven’t spoken with an agent for rideshare coverage yet, please visit RSG’s insurance marketplace page. If you decide to get your own rideshare coverage, please ensure the agent you speak with is familiar with structuring the rideshare coverage that meets Xchange Leasing’s requirements, or you may experience big delays in getting approved. I cannot stress this point enough, not every insurance agent from Mercury, Farmers, or State Farm is familiar with structuring the insurance policy that meets Xchange Leasing’s requirements. Due to frequent changes going on with Xchange Leasing, an insurance agent needs to be on top of the name changes and also the address changes. If the name or address is incorrect, then it may easily get rejected and subject to delays in getting approved. After you speak with the insurance agent to secure the rideshare insurance, then the dealership will need to print out the declaration page and/or insurance binder to attach with the paperwork that needs to be submitted to Xchange Leasing for approval. Also, depending on the insurance company that you use, your insurance agent may require photos of the car before they issue the declaration page and/or insurance binder. The Xchange Leasing specialist can typically take care of this for you. Next, Xchange Leasing should have already emailed back the Lease Agreement and the Payment Authorization forms that need to be signed by the future Uber partner (Lessee). Once everything is signed, then the future Uber partner (Lessee) is free to go home. This entire process typically takes about 1-1.5 hours, most of the delay is getting the paperwork from Xchange Leasing and/or the rideshare insurance. So it’s best to start discussing the insurance with the correct agent ahead of time to get an idea of the cost for rideshare insurance. After everything is signed, then a tracker will need to be installed in the car. This is Xchange Leasing’s requirement. This process could be done in as quickly as an hour, and the Lessee does not have to be here for this step in the process. Once the above requirements are complete, then the dealership scans all the documents and emails them to Xchange Leasing for approval. The final approval can be as quick as 24 hours or up 7-10 days, depending on how busy Xchange Leasing is and whether all the paperwork is in order. Many people ask me the question “How long will it take before I can pick up my car?” My answer is always the same: I’ve seen it get approved in as quick as 24 hours and as long as 7-10 days. All that depends on how quickly Xchange Leasing can look over your file and approve it. Xchange Leasing informed us that they were getting overwhelmed with these transactions and were hiring additional personnel to handle the workload. Also, I let them know what the relationship between Xchange Leasing and the dealership is. I inform them that Xchange Leasing only purchases cars from the dealership, and that the dealership has no say in the approval process. The dealership only helps to facilitate the transaction, meaning the Xchange Leasing specialist helps to gather up the necessary documents and forwards them directly to Xchange Leasing for their final approval. That’s it. If something is missing, then Xchange Leasing will email the dealership and the Xchange Leasing specialist will contact the lessee to get whatever is missing. But the final approval comes solely from Xchange Leasing, not the dealership. The dealership wants the car leased through this program off their lot as quickly as possible, to make room for new inventory, so Uber partners need to have patience and let this approval process play out. Did this help to clear up some lingering questions for you? If you have additional questions or experiences, please share them below in the comment section. I look forward to assisting each of you who need my services. You can see current inventory of eligible Xchange Leasing cars at our dealership and how to calculate your weekly lease payments by contacting me. If you have additional questions, please feel free to text Douglas at 310-868-8907. Douglas started his sales career in real estate in the late 90’s. Then, when the market dipped, he left that field to start in a totally new industry. In his first complete year in the automotive business, he was named top salesperson of the year at the dealership that he worked. He believes in working hard and treating people like he would like to be treated. When he’s not selling, he enjoys spending time with his family on short trips, working out, strolling along the beach, watching sports, and sharing his knowledge. And he hopes to one day change the way people think about automotive salespeople, by being honest and upfront, and doing it one person at a time. Drivers, what do you think about the Xchange Leasing Process? Have you encountered problems with any of these steps? Feel free to share your experience below and ask lots of questions. 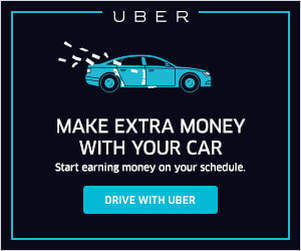 How do I get in contact with Uber Xchange Leasing? You can e-mail support@uber.com or for more direct Xchange questions, e-mail support@xchangeleasing.com.